Music In Mind and the musicians from the Royal Liverpool Philharmonic Orchestra present the world premiere of Fleetwood Voice, a specially commissioned composition and multimedia performance by composer John McHugh as part of Regenda Homes’ 10 Year Vision to celebrate the unique voice and spirit of Fleetwood. 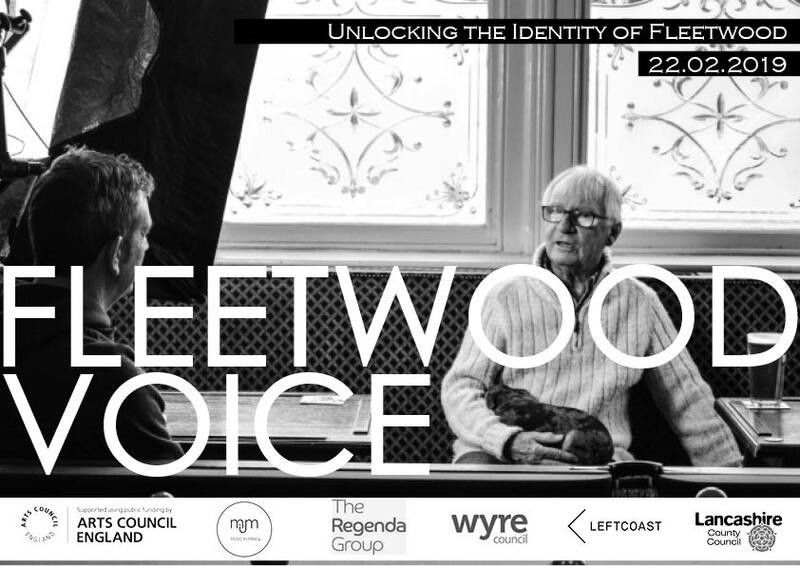 Based on the melodies and rhythms from the speech of the Fleetwood people, this new video opera will celebrate the unique identity of Fleetwood from its elegant beginnings as the Brighton of the North through its rich heritage as a fishing port to the aspirations of the future as the town embarks on a new chapter in its history. Hidden Voice' is a music and multi - media piece that ‘gives a voice’ to people living with dementia. This follow up to the highly successful 'Big Voice' project uses the melodies and rhythms from film interviews to take the audience into the real lives and emotions of the people on screen bringing their stories to life in a unique and powerful way. Hidden Voice events are supported by guest speakers, presentations, audience discussion forums and educate to promote greater awareness and create discussion around what former Prime Minister David Cameron called "one of the greatest enemies of humanity". — Lord Mayor of Liverpool, Erica Kemp. The Alzheimers Society, the Dementia Action Alliance and local organisations will be invited to take part in each performance through presentations and information stalls. For more information and to find out about 'Hidden Voice' events in your area Sign-up to our mailing list or follow the social media links below. 5 Liverpool Schools join forces with Music In Mind, The Everyman Theatre and musicians from the Royal Liverpool Philharmonic Orchestra in an exploration of dementia and the themes from the Hidden Voice. From the Lancashire beginnings to the influx of the Irish through to the modern day influences, ‘The Big Voice Liverpool’ celebrates the development and uniqueness of the Liverpool accent. The tunefulness within the Liverpudlian accent has been turned into a totally unique piece of music that mixes live music with film. More then 100 people from all walks of Liverpool life were filmed and the melodies and articulations in their speech have been used as the basis for the composition. Featured on BBC TV's North West Tonight and Radio 4's 'Today' Program, The Big Voice has since developed into an educational tool and workshop offering school children and communities the opportunity to explore the influences that have shaped one of the worlds most distinctive accents. For more information and to find out about 'The Big Voice Liverpool' events or to book a workshop in your area Sign-up to our mailing list or follow the social media links below. From the Famine - Immigration from the past to the modern day. Music, poetry and verse depicting the plight of the Irish who settled in Liverpool during the Great Irish Famine of 1846 -51. ‘From The Famine’ gives schools and communities the chance to explore the subject of immigration, from the Irish of 160 years ago fleeing their homeland, through to the challenges faced by modern day immigrants. Music In Mind presents a series of workshops and performances involving music, drama and creative writing to challenge our thoughts about the role that immigration has had on society and how it continues to shape the world we live in today. If you'd like to hear to hear more about From the Famine or would like to book a performance/workshop Sign-up or follow Email and social media links below. Schools will receive a free CD recorded by members of the RLPO to continue the learning in the classroom.